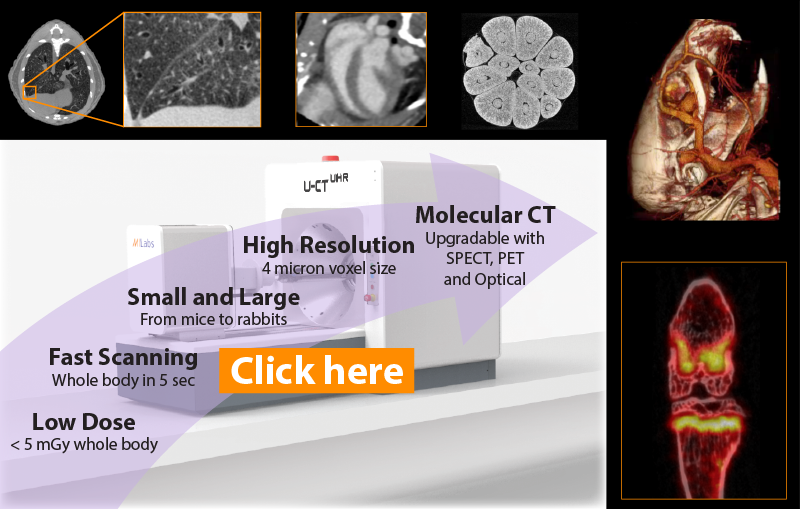 “All-in-one”: The only micro-CT system for all your preclinical needs. Why invest in multiple systems for speed and resolution, for in vivo and ex vivoapplications, or for molecular CT with PET, SPECT and Optical Imaging? 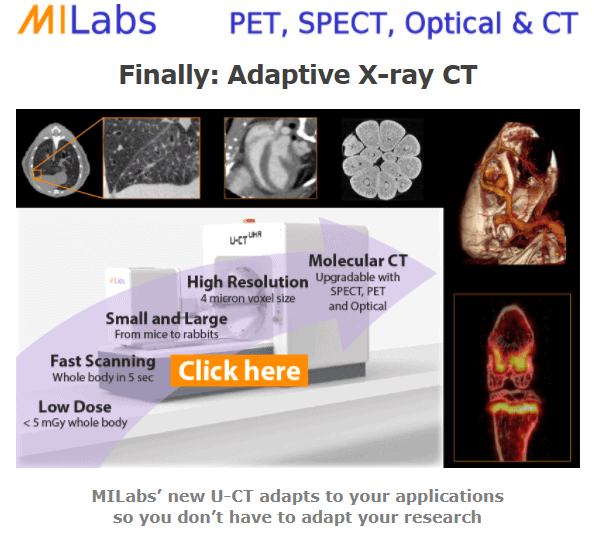 Start your research with the only upgradable U-CT system today and adapt your MILabs system by adding modalities over time. Copyright © 2016 MILabs, All rights reserved.